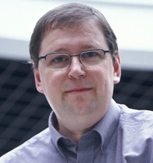 FranÃ§ois Charpillet is currently directeur de recherche at Inria. He received a PhD in computer science (on speech recognition) from the university Henri PoincarÃ© (Now Lorraine University), in 1985, and an HDR from the same university in 1998. He is also an alumnus of Ecole Nationale SupÃ©rieure dâ€™ElectricitÃ© et de MÃ©canique. Since january 2015, he is the scientific leader of a new research group Larsen, which is going to be proposed as a joint research group with INRIA, CNRS and University of Lorraine. Larsen focus will be on Long Term Robotics, Human Robot interaction and Active and Distributed sensing. FranÃ§ois Charpillet is also one of the founder member of Diatelic SA, a start up created in 2002. Diatelic develops Telemedicine Solutions for chronic diseases follow-up. Diatelic is now mainly own by PHARMAGEST INTERACTIVE, a the French leader in computer systems for pharmacies and which is expanding its activities into e-health and the development of telemedicine applications.